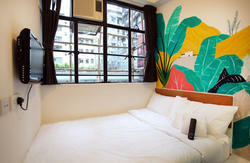 \'Dragon Inn", located in the most crowded and the high-class travel area which is belonging to\' Dragon International Travel Service Centre". It posses the best service, the best honor, the best shopping area and the best view point named in the world. In the past 19 years, under the leadership of Miss Lam who the founder of \'Dragon Inn", all staffs serve the passengers with a heartfelt for their family, make the customers feel at home during staying in\' Dragon Inn". Either in security and cleaning, or the equipment of the guest house, they will do their best. "地球の步き方"、published by Diamond Big CO. Japan. Or in the internet, you might find out \' Dragon Inn" easily. 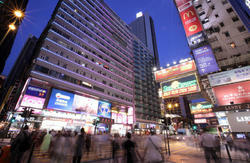 From Airport take A21 to Tsim Sha Tsui and get off at the imperial hotel. Right at next door was our builiding . -only 7 mins to the shopping centre, over 700 shop in there.